Chinese tourists stand beside St. Basil's Cathedral at Windows of the World amusement park in Shenzhen, China. 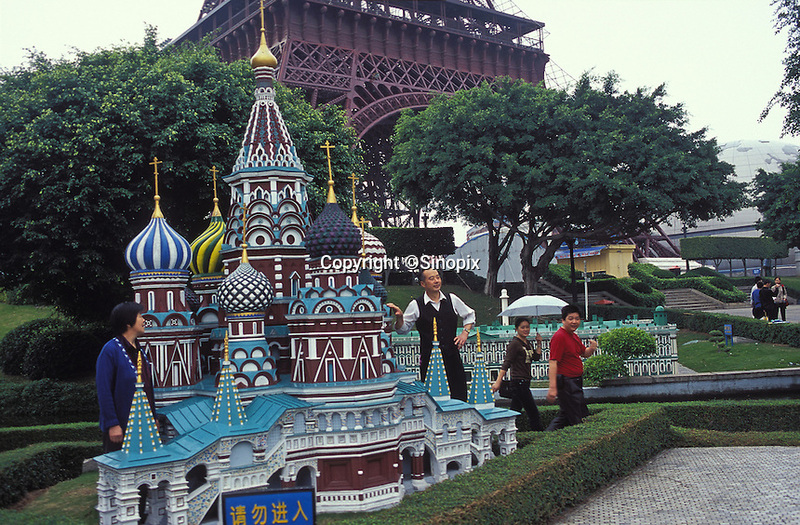 The amusement park has copied many of the worlds most famous monuments and attractions, mostly in minature and attracts millions of tourists annually.